"FNAF 4 Is Coming Sooner Than Expected, Jump Scares Are Unpredictable"
Five Nights at Freddy's 4 was originally going to be released on Halloween, but now the game's release date has been moved up. 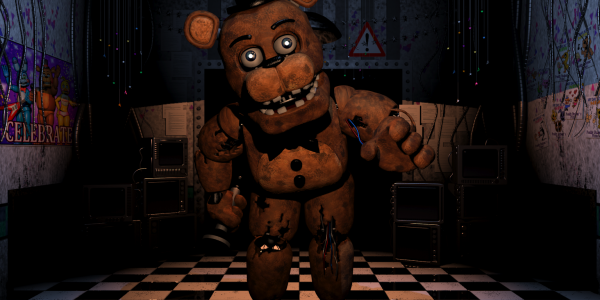 Five Nights at Freddy's 4 is coming out on August 8th, which is the one-year anniversary of the original game's release. Along with the news of a new, sooner, release date came the first trailer. The trailer shows a home and it seems the deadly animatronics from the earlier games have followed someone back to their house. The trailer tells you to check the closets and watch behind you. The Five Nights franchise has become huge. Millions of games sold, thousands of videos made and earlier this year it was announced that Warner Bros. was planning on making a Five Nights at Freddy's movie. Five Nights at Freddy's 4 is coming to PC this August and after that the game will get an expansion near Halloween.